I just picked up a 2014 23 LSV with a RFX5BB remote unit on the dash. I'm connected with bluetooth through the Maliview, have the stereo set to AUX and can listen to music, but the control functions don't work. No play/pause or fwd/back so we can only switch songs with the phone in our hand. Is that normal?? It is normal on that model year boat and stereo. Song selection has to be made on the phone or whatever Bluetooth device you are using. Gotcha - I thought I missed some phone permission or something ridiculous. Not the end of the world. Thanks for the help. Sort of a BT related followup - is the Android app for boat settings on my year dead and gone? Rockford Fosgate makes a bluetooth dongle for the 2014. I got one this year and it allows me to change tracks, etc. from the head unit and the transom remote. I have a magnetic mount on the dash and transom for it. There is a plug in behind the amp board on the black box. It says bluetooth. Is it supposed to be just plug and play? You and I posted at the same time. Thanks for the info. I just ordered it. Stupid but worth it lol. Figured it out! Super simple, just plug into the black box, not the connector in the glove box. There is a plug labeled BLUETOOTH DONGLE and a new BT PLAY mode will be available. You'll connect to a new bluetooth connection, something like RFX5000 not the one part of the MaliView stuff. @hunter77ah, or @Sessionable can you point me in the right direction. I can't find the output. I was able to give a gentle tug on the wires out of the bottom right of the "black box" (labeled S0536 on yours) where they go into a slot that goes behind the board and the Bluetooth dongle plug came right out. Didn't have to unscrew anything. You are looking for a black cable that's a little thicker than others. 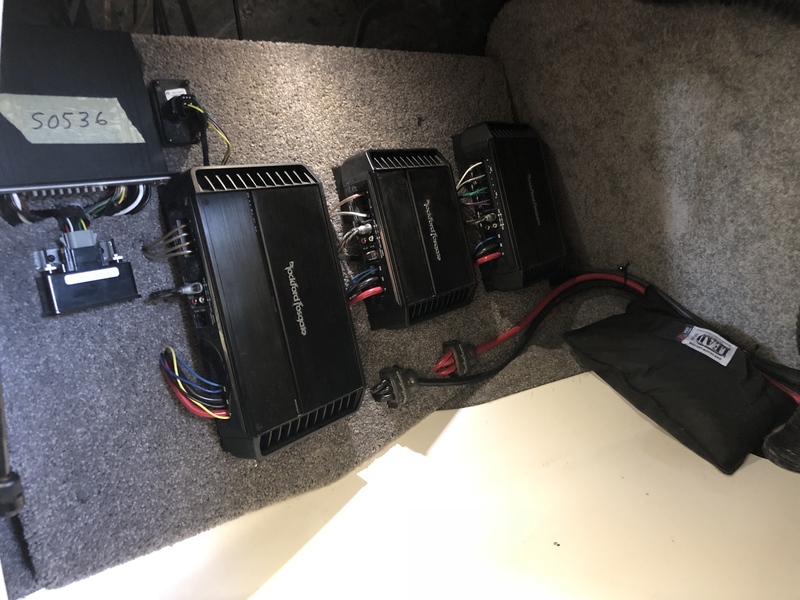 I hooked mine up today....kind of a pain to find the wire in a hot boat, but I found it and hooked it up. What a pain to get it to plug in and it seems to not be very secure? Seemed to work great at first, until I put the rack back up, then all hell broke loose. I think it came loose, so I took the rack down and reconnected it and now when I play anything over the bluetooth I get a ticking noise that I can hear really only when it is quiet. I thought it might be interference with other cables so I fished it through to the front of the rack, but I am still getting the ticking noise. Mine also was not the most secure feeling connection. I thought about cutting off the dust cover thing on the black box side and then putting a few wraps of electrical tape around it just for a better fit. Not sure about the ticking sound...if you unplug the BT module, do you still hear ticking? Wonder if its interference somewhere else? No ticking noise when the module is unplugged - it also doesn't tick if I am not playing anything, just when I am actually putting music through my phone. I am going to pull it apart tonight and blow everything out (the cable didn't have the dust cover on when I found it in the tangle of wires) so maybe something is in there. Seemed really hard to line it up - is there some sort of line or anything that identifies how it is supposed to be hooked up? I just turned it until it started to push in...maybe I accidentally bent a pin or something. Will look at it more tonight but any thoughts are appreciated. Turns out my unit is defective, so they are sending me a new one. How has everyone mounted the unit - are you just letting it dangle or are you securing it someway? I used one of those zip ties that has a screw hole in it. Then I screwed it into the amp board as high as I could and as far from other electronics to avoid signal interference. Seems to work well, no signal issues anywhere on the boat.